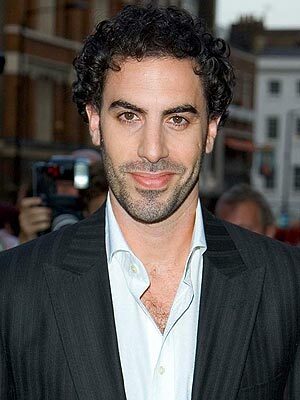 Sacha Baron Cohen (aka Borat) has landed a new film role playing innkeeper Monsieur Thenardier in the film version of Les Miserables starring Hugh Jackman, Russell Crowe and Anne Hathaway. I think it's great casting as the part of Thenardier involves a lot of comedy illustrated by the fact that it was recently played on stage in the West End by Matt Lucas. The last time I saw Baron Cohen in a musical was when he playing the over the top barber Signor Adolfo Pirelli in Tim Burton's version of Sweeney Todd starring Johnny Depp. Casting is yet to be announced for Madame Thenardier but Helena Bonham Carter has been a trong rumour for some time. Interestingly enough she played Mrs Lovett in Sweeney. The director Tom Hooper is certainly getting together a stellar cast for Les Miserables the movie which begins shooting in the UK next March and is currently schedule for a December 2012 release date.